The laws of gun control vary geographically from place to place. The gun control laws of china are different from that of United States. Let’s have a detailed look at gun control laws of United States. Throughout the history of America, some high profile gun control related violence’s took place and that lead to the creation of historic laws meant for gun possession. Despite of debates and delayed response from the government, the central gun control legislation has come up with some laws. National Firearms Act, Assault Weapons Ban, Gun Control Act, Federal Firearms Act and Brady Handgun Violence Prevention Act are some of the known Laws of gun control. The Gun Control Act was introduced in 1968 as a result of John F. Kennedy’s assassination. This act has brought major changes to federal laws of gun control. More detailed records of dealers were formed and license obligations were expanded. Selling of guns for drug users and mentally incompetent people by dealers was also stopped. Federal Firearms Act: it is one of the laws of gun control that deals with shipping and selling of firearms through foreign or interstate commerce channels. Anyone who is involved in firearm selling was supposed to have Federal Firearms license. The name and address of each and every individual who involved in production and distribution of guns was also recorded. Brady Handgun Violence Prevention Act is one of the most renowned laws of gun control that imposed on interim basis. A background check and 5-day waiting period was imposed on any dealer or manufacturer or importer prior to the delivery or selling of guns. A background check system was also formed to identify the criminals easily. The check system involves applying for firearms and their verification over telephone. In most of the cases, the verification results were announced immediately over electronic media. 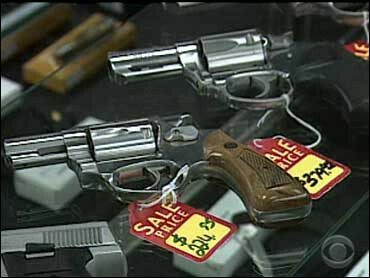 The unlicensed gun sellers who swap and flea the gun markets were also targeted through these gun control laws. All these laws apply at state level and violation of which lead to immediate action from the concerned authority.